I’d always been curious about Celestine Vaite‘s novels. I’d seen reviews of Frangipani and Breadfruit popping up here and there, so when in the Little, Brown catalog I noticed the third and final installment in the trilogy, Tiare in Bloom, was coming out, I got a galley and asked around to see who was interested in a review. The Honolulu Advertiser was the taker, and so I entered the world of Faa`a, Tahiti, where Vaite was raised. As I say in the review, even if you haven’t read the previous books, Vaite’s vibrant narrator quickly makes you feel right at home in this clannish quartier. You are immediately connected to “the coconut radio”–what Hawai`i calls the coconut wireless–and once in the loop, you can’t help but care about what happens to each and every quirky individual. Take a peek by clicking here. But if the link doesn’t work, as this should soon disappear into the paid archives, I’m including the review below in full. Even if you haven’t read the previous books, Vaite’s vibrant narrator quickly makes you feel right at home in this clannish quartier of Faa`a, Tahiti, entering into everyone’s point of view when needed to better gossip about their histories and present situations. You are immediately connected to the “coconut radio”—what Hawai`i calls the coconut wireless—and once in the loop, you can’t help but care about what happens to each and every quirky individual. Yet as the plot unfolds, slowly and luxuriantly like a blooming flower, so does the steady and natural pace of Pito’s transformation from disconnected to considerate husband. He becomes determined to prove his worth, facilitated by Vaite’s seamlessly incorporated culturally acceptable diversion—the appearance of Tiare, a three-month-old said to be the daughter of their eldest son, Tamatoa, away in France for his military service. Pito and Materena find themselves parents again, only this time Materena has her job at the radio station, so Pito willingly and proudly cares for Tiare in her absence. “This is Pito telling Materena that she can count on him,” the narrator explains the root of his new behavior. “This is also Pito telling Materena that as of now, every time she assumes something about him, he’s going to prove her wrong.” There’s no need for the narrator’s prodding; Pito’s sincere attempts are enough to bring the reader firmly to his side. 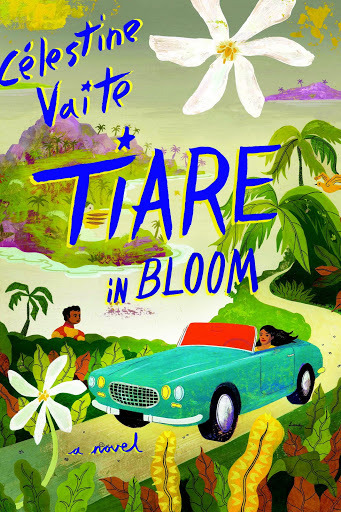 Even when it seems Vaite has traded one plot for another and forgotten about Materena’s search for her father, the novel’s early groundwork means one can be confident she will, and indeed she does, pick up the story again when the time is right, driving drive home previous hints of the book’s thematic exploration of Tahitian identity. French-Tahitian resentment, nuclear testing, and fatherless children created in both countries as a result of colonial rule, are all present as realities, but never an obtrusive agenda. Above all, the novel effortlessly completes the trilogy’s focused and intimate exploration of love and marriage, relationships young and old, and truths that transcend location. 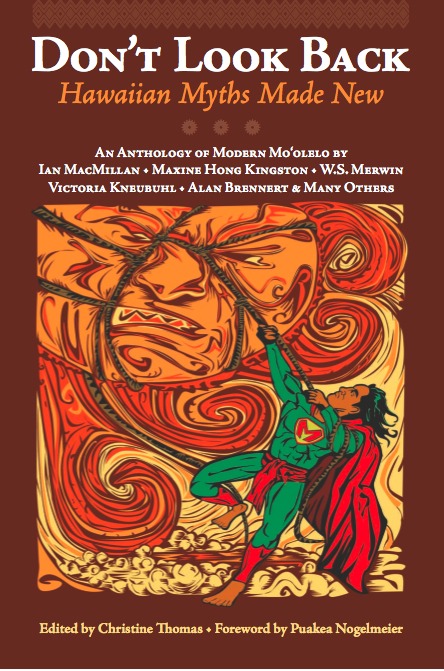 As Manoa Journal’s 2006 anthology of of Tahitian writing, “Varua Tupu,” reveals, French Polynesia has a rich literary culture. Vaite was included in the book—and was in Honolulu for its launch. In Tiare in Bloom, her writing is confident, sure and easy, mirroring her own admission that this was the easiest of the three to write. If it is truly the end, it’s certain they won’t be forgotten outside Tahiti either.